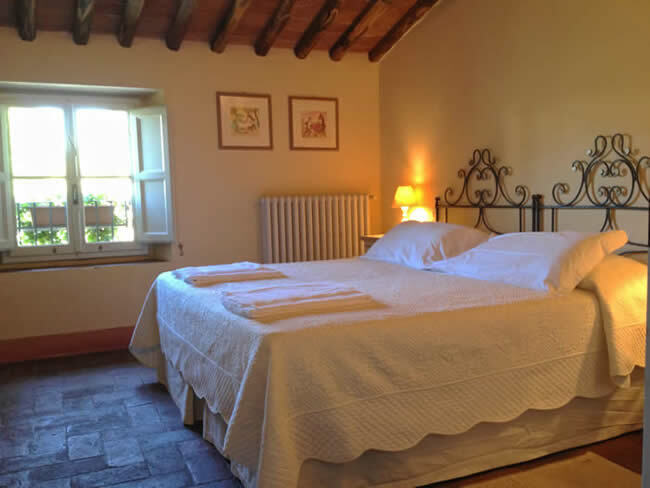 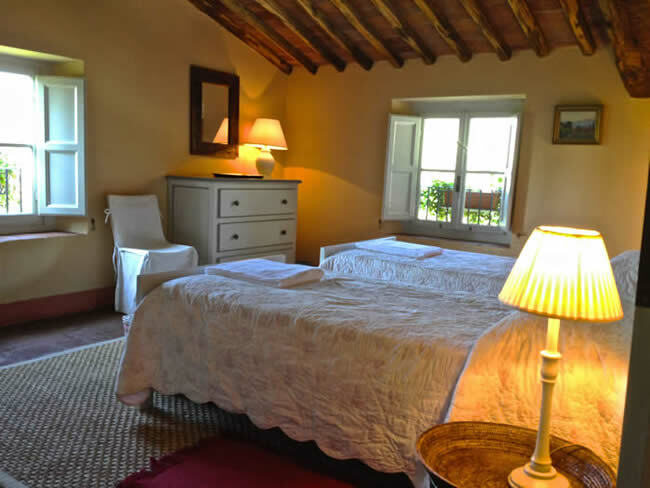 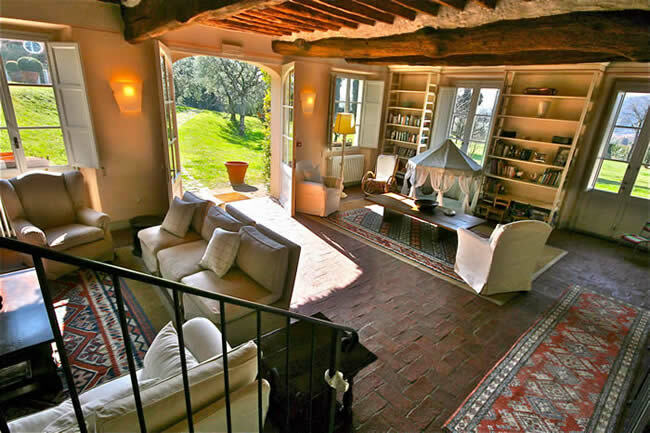 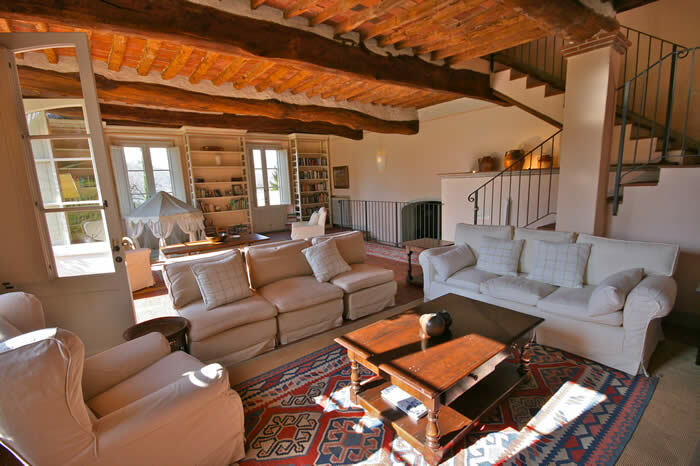 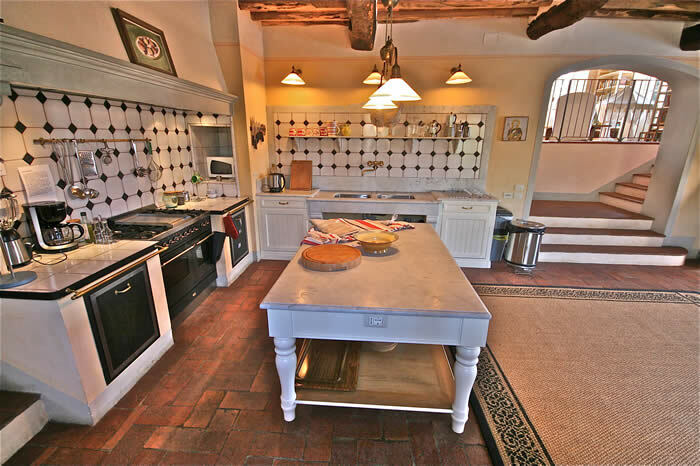 Villa Rosa Grande is an elegant and charming countryhouse beautifully restored using the original beams and Tuscan colours. 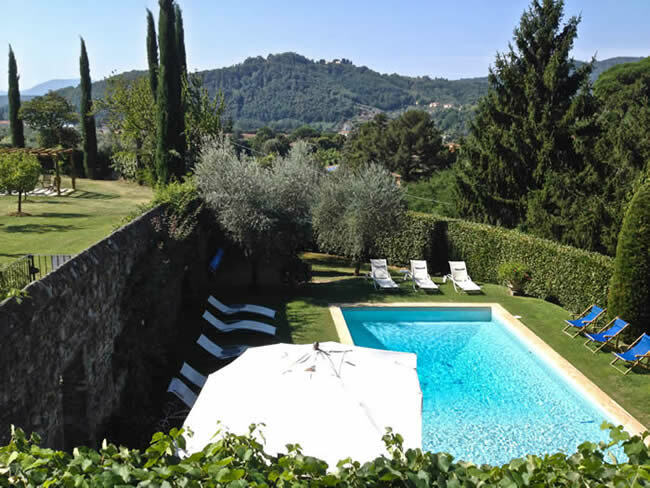 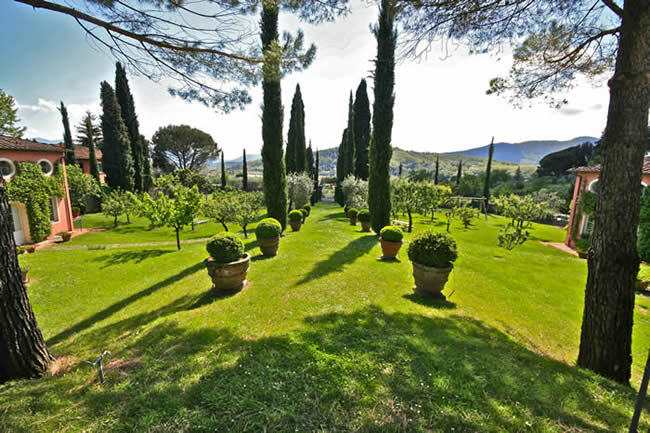 Beautiful walled garden and private swimming pool. 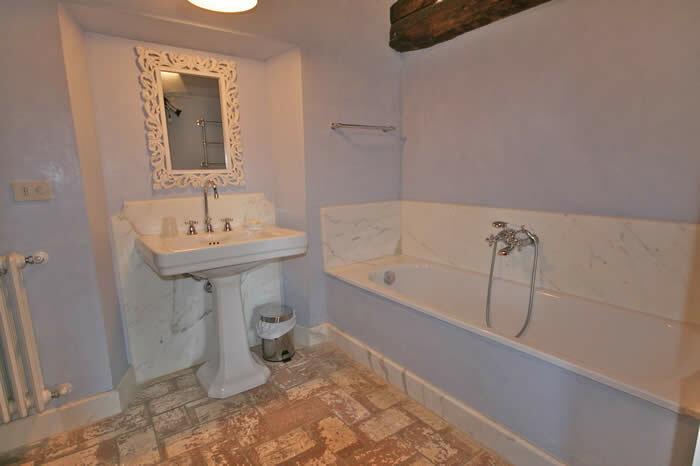 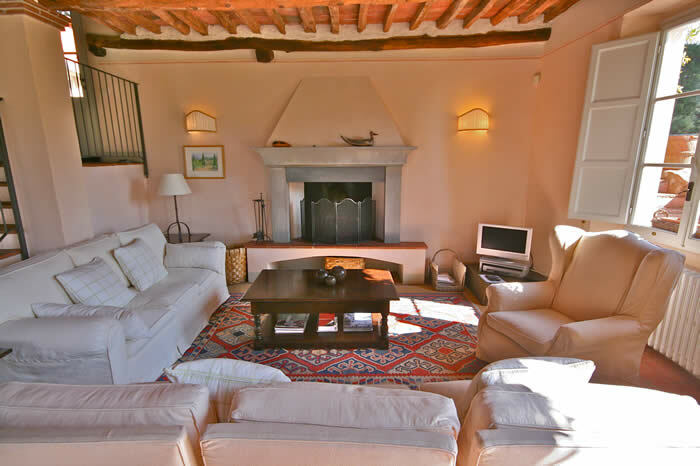 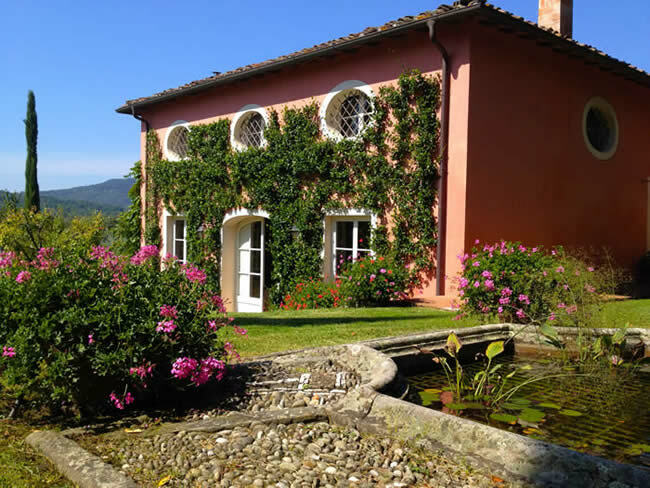 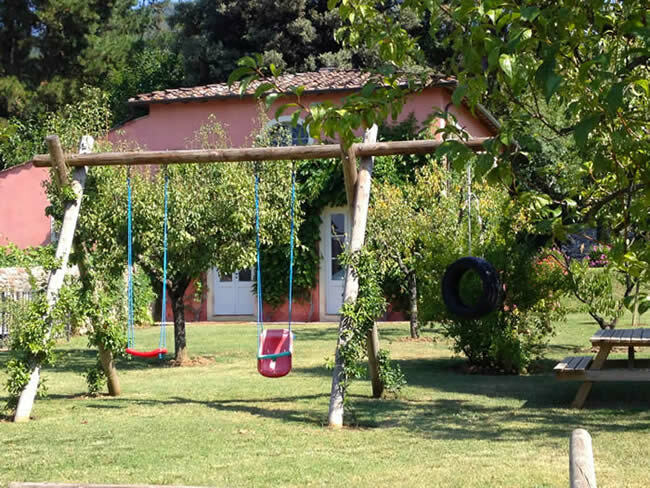 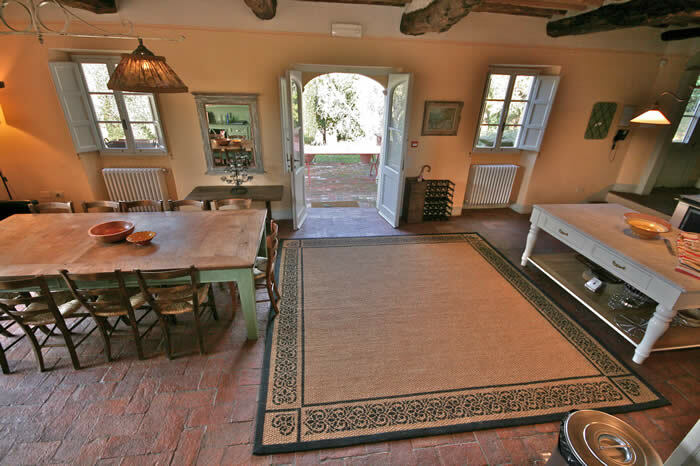 Villa Rosa Grande is rented together with Villa Rosa Piccola to accomodate 16 people. 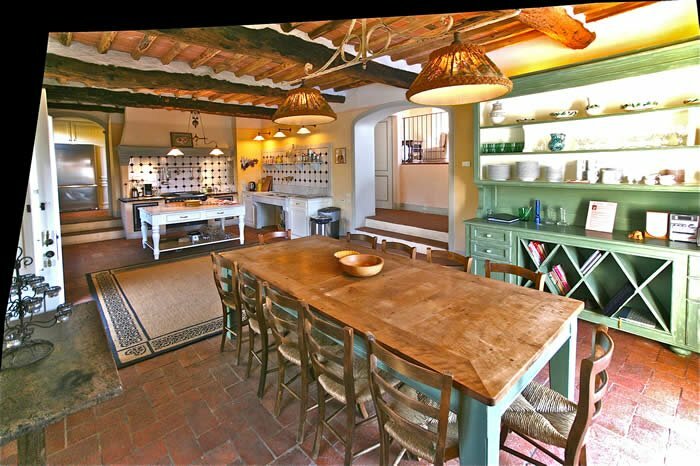 Villa Rosa Grande has large fully equipped kitchen and dining room at the ground floor. 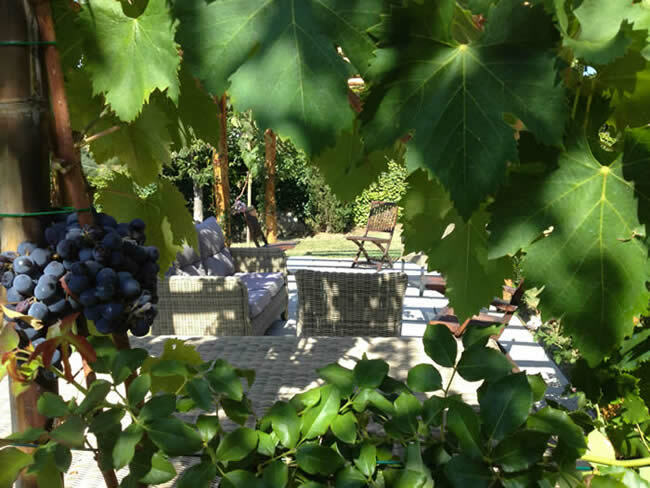 French windows opening to the south terrace and al fresco dining area under the pergola covered with grape vines. 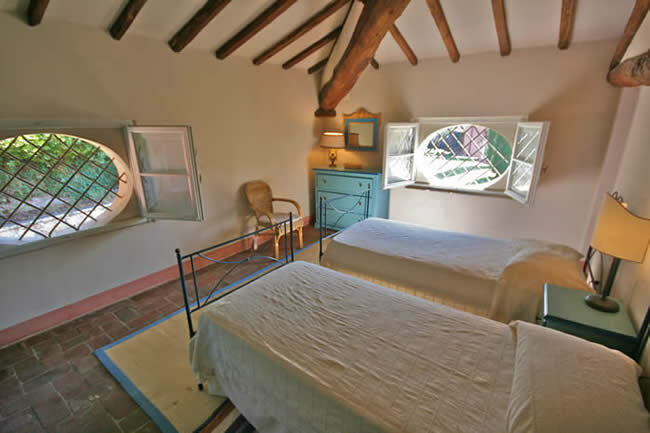 Also French windows opening to the west terrace with a shaded dining table and barbeque seating up to 16. 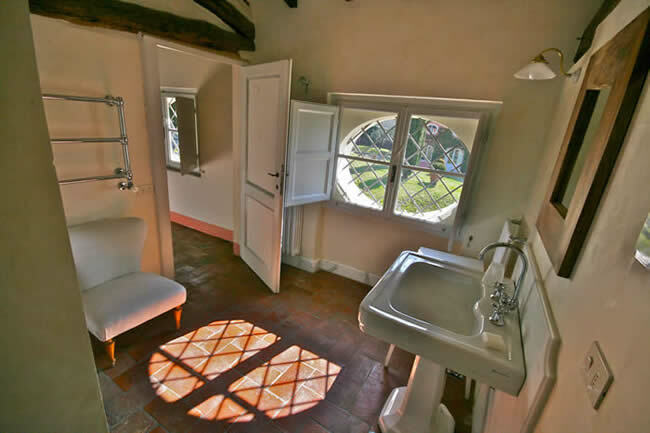 There is a large sitting room with open wood burning fireplace, a bathroom WC. 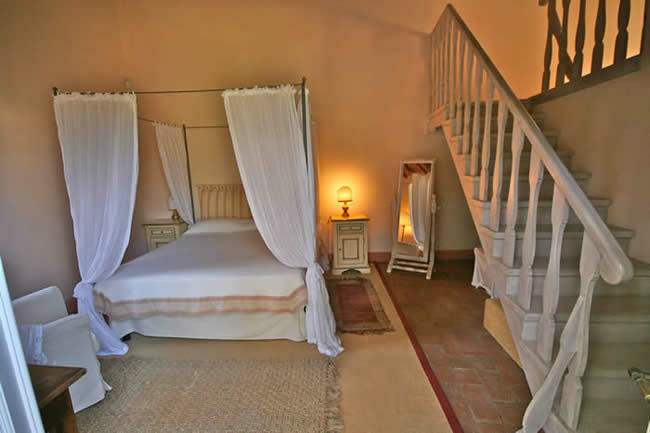 In the mezzanine floor there is a sitting area leading to bedroom with four poster bed and ensuite bathroom. 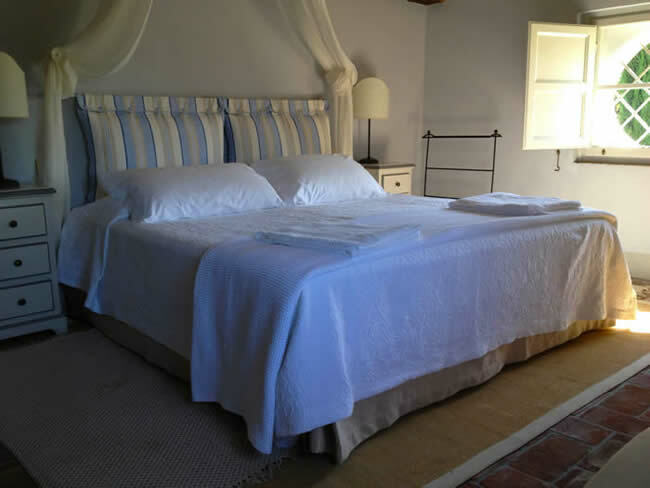 At the first floor there is a main double bedroom with en suite bathroom; a bedroom with 1 double (or 2 single beds) with ensuite bathroom; 2 more double bedrooms and a share bathroom. 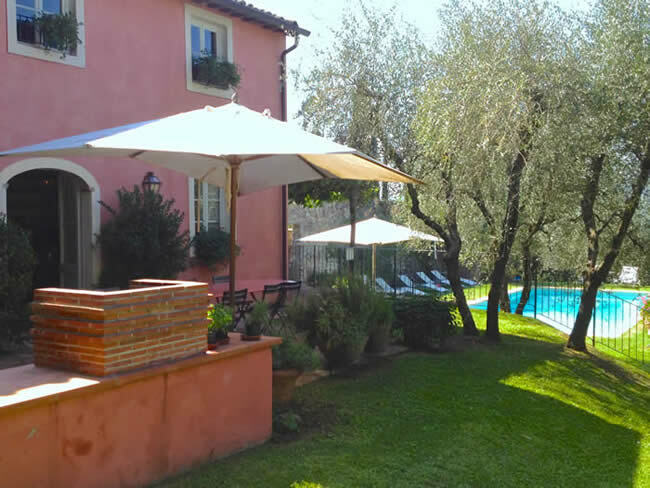 Outdoor there is a large swimming pool – 12 x 6 metres. 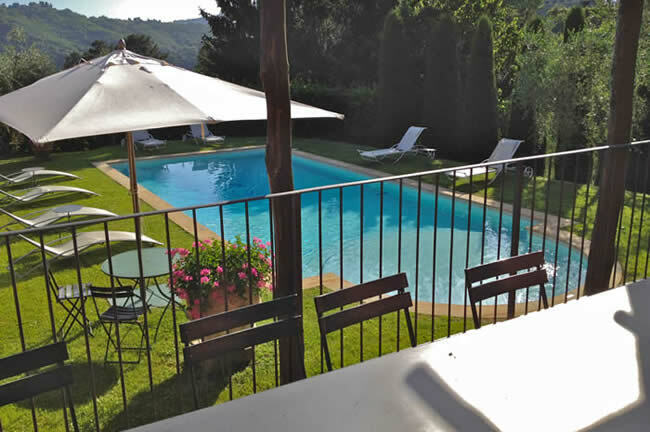 The pool can be heated and is fully gated and fenced surrounded by umbrellas and sun chairs. 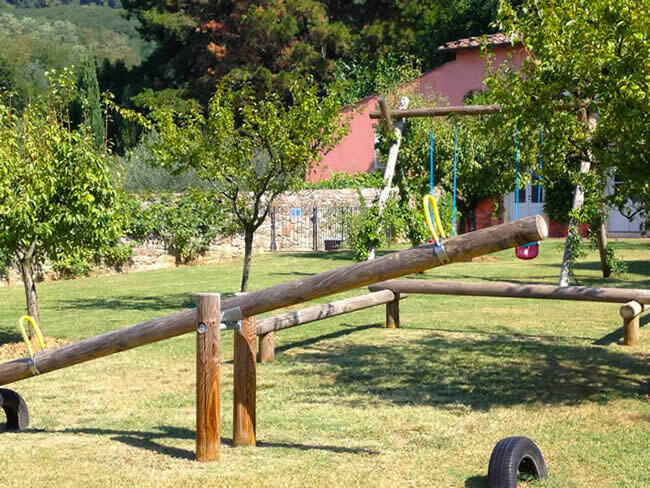 Children’s play area in the orchard. 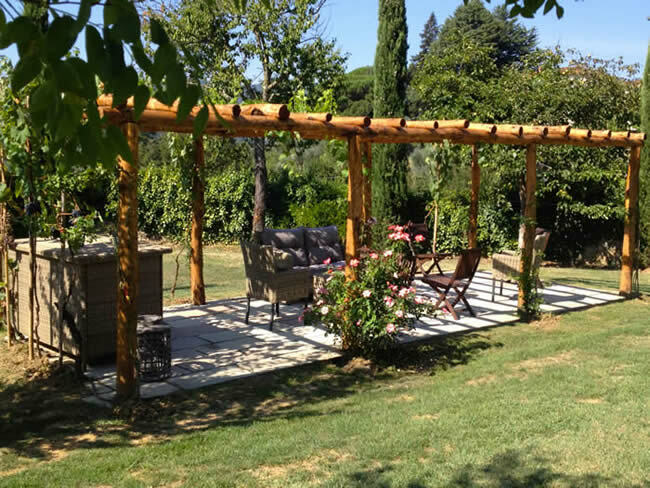 Pergola with chairs and table to enjoy a relaxing drink.